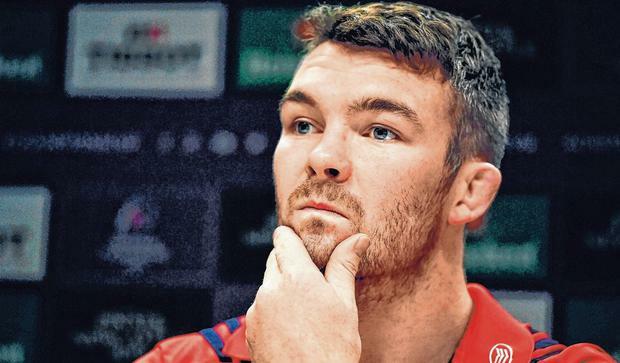 A year ago, Peter O'Mahony sat in a sweltering room beneath the Stade Chaban Delmas in Bordeaux and said he was sick of learning lessons. Another European semi-final had come and gone without Munster firing a shot. Racing 92 were off to Bilbao and the wait for a Champions Cup showpiece appearance went on. Like so many of his team-mates, O'Mahony was reared on the sight of the Red Army making finals. His teenage years were spent cheering on the team of the 2000s and as the anointed successor to Paul O'Connell, he has borne the burden of captaining the ship well without quite managing the final step. The current crop have become a consistent presence in the top four of the European elite despite the retirement of that legendary generation of players. This is his third successive semi-final, their fifth in seven seasons, and they are impatient. Once again they face a formidable foe in Saracens. Clermont, Toulon, Saracens and Racing have blocked their paths in O'Mahony's time, but he is convinced that this year Munster are better placed than ever. "Post-match interviews in a game like that are different. At the time they are emotional and all that stuff for the work you put in," he said of last year's comments. "We put in a lot of work over the past 12 months and I think that we are a different animal to what we were; further down the track. "Don't get me wrong, we are under no illusions as to how it is going to be. We are definitely a better side than we were last year. That gives us great confidence. "We have big battles this year, games in which we have gone behind, big games that we have ground out; a draw in Exeter. "You don't look back a huge amount but they are things that you draw strength on over a season to gather that momentum and confidence. "We have built nicely but it all counts for nothing unless you perform at the weekend. That's what we are looking for, a performance. "We know that if we perform as well as we can we can mix it with the best but these guys and Leinster are the best, Toulouse… They are three of the biggest names in Europe without a shadow of a doubt. "It's not really a surprise that they are back in semi-finals. For us to be here to get another shot is exactly where we want to be talking about at this time of the year. "Again, it is going to have to be our best to be mixing it." What, he is asked, has changed? "I think our game-plan has improved," he said. "We have a few more strings to our bow with regard to our attack. Our defence is getting there certainly. We have conceded the least amount of tries of anyone in this competition so far. "We are working hard but can get better. We have certainly grabbed a bit of confidence from the last couple of months; hopefully that will stand to us at the weekend. "The new guys have had a massive impact. I don't have to name them off, but guys like Tadhg (Beirne), Joey (Carbery), Alby (Mathewson)... there's a group who've come in. "The group that are here have learnt a huge amount and kicked on as well and we've found a good balance. "Look at last weekend away in Treviso, a difficult place to go and play at the moment... we had a younger team out, you know, guys who haven't had a chance in a while and go behind (and produce) a super performance. That gives us great confidence as a squad. "You need a bit of luck with regard to fitness certainly to win these competitions. "You need a bit of luck in games but you need your squad to be fit and you need your squad to be playing and training well; we're lucky we have that at the moment, the last four games we've won I think and that stands to you. "They've certainly been an integral part of the kind of building of confidence and some good performances." Saracens are a familiar foe, even if O'Mahony befriended many of their players on the 2017 Lions tour. Two seasons ago, the English side proved far too strong for Munster at the Aviva Stadium en route to their second successive title and the Munster skipper is an admirer of the way they do their business. "I have to say I was very impressed with the English players across the board," he said of the Lions tour. "The Saracens players, across the board, were very impressive with regard to their thinking of the game, forward-thinking, game-plan thinking. I was very impressed. "Does it give you an insight? Yeah, it gives you an insight into how good they can be mentally and their thought process on the game, which is useful in some ways. "In other ways, you know how good these guys really are behind their performances. "You see it at the weekend, but how they think about the game and their philosophy. "I think they have a good club. They have some very good structures, good guys on the pitch leading it and a great coaching staff. "You certainly get a good insight into it and I was very impressed with it. You learn a huge amount from the way they approach the game and how they implement it. You see that at the weekends and it's very impressive. "It's going to be an 85-90 minutes battle, their fitness is exceptional, their game-plan is very, very difficult to combat. "It's going to have to be the performance of the year from us in every aspect of our game. "Their fitness is certainly I reckon the best in the Premiership, well up there in Europe if not the best in Europe as well, so you know, 85 minutes is certainly the way it's going to run at the weekend."